Both South-East Asia and China are growth markets which provide ample opportunities for Hungarian businesses. Yet, the process of entering and/or remaining in foreign markets requires patience, perseverance and the right preparation, such as finding a trustworthy business partner and bridging cultural gaps. One of the elements that is often neglected, especially amongst SMEs is protection of Intellectual Property Rights (IPR) (e.g. trademarks, patents, copyrights, trade secrets, industrial designs). These rights are your core business asset, and need to be protected not only within the confines of Hungary or the EU, but especially when entering foreign markets where your products might be at risk of being copied. A strong IP strategy and portfolio is a key to attracting investors, and a key to success. In this event, China IPR SME Helpdesk expert Michal Klaczynski will introduce you to how to best prepare in terms of IPR when going to China and South-East Asia. Our expert could also be available for one-on-one consultations after the presentation. Michal Klaczynski has over ten years experience in both Polish and international practices and now runs his own consulting firm specialising in international transactions and regulatory matters, including assistance in Chinese business and IP related matters. His experience includes assisting companies establishing business in China, advising on foreign direct investment regulations and negotiating joint venture agreements. He also advises on various aspects of Chinese copyright law, trade secrets, trademarks, as well as negotiating licensing, manufacturing and distribution agreements related to operations in China. Michal graduated from Harvard Law School (LL.M.) and Jagiellonian University; Poland. He studied at Sichuan United University (Chengdu, China), and is currently working on his doctoral degree in international law. The China and South-East Asia IPR SME Helpdesk supports European Union Small and Medium-sized Enterprises (SMEs) to both protect and enforce their Intellectual Property Rights (IPR) in or relating to Mainland China, Hong Kong, Macao and Taiwan and in South-East Asia through the provision of free information and services. These take the form of jargon-free, first-line, confidential advice on intellectual property and related issues, plus training, materials and online resources. 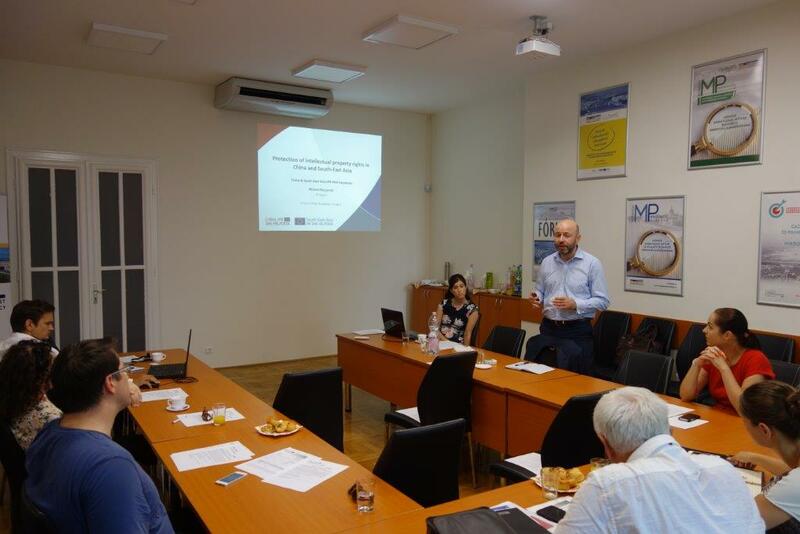 The IPR SME Helpdesk project is funded by the European Union and builds on the achievements of a pilot project since 2008. Venue: Budapest Enterprise Agency HQ, H-1072 Budapest, Rákóczi út 18. The workshop is free. Registration completed.